At Norlantic Processors Ltd., our vision was simple: to create a consistent top quality organic Blue Mussel that looks and tastes great, while sustaining our rich environment and honouring our heritage and reputation for excellence. Backed by over 30 years of experience, we were one of the first companies in the world to receive the Best Aquaculture Practices (BAP) certification. Our Farms and Processing Facility are certified as organic by Global Trust under the Canadian Organic Aquaculture Standards. 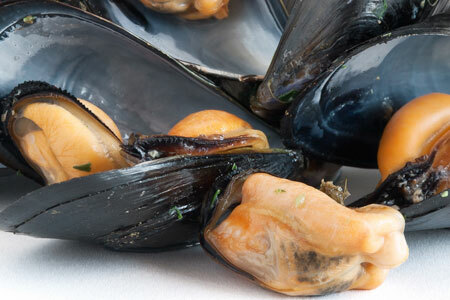 By following stringent sustainable processes and providing our mussels with the best possible environment, we ensure a consistent, plate-presentable product with clean, -black shells and a high meat yield. 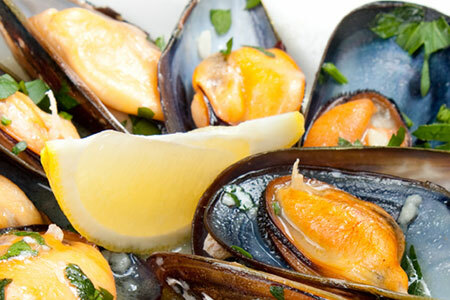 Our mussels are sweet, fresh and plump, with great texture and smell, boasting one of the highest peak values of Omega-3 fatty acids 1.1 According to Memorial University, and Fisheries and Oceans Canada. 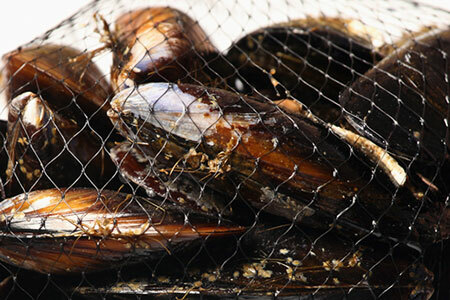 See and taste the difference with Thimble Bay Blues Organic Mussels from our favorite recipes! Working with Terry and his certified organic mussels has been an integral part of my culinary profession. Their professionalism in dealing with the stringent requirements of my recipes over the years in this diagnostics industry is unmatched. We can always count on Thimble Bay Blues to deliver on the perfect recipe time after time and they always go above and beyond when we they are called upon. I would recommend Norlantic Processors/Thimble Bay Blues to anyone looking for high quality mussels. I also look forward to many more years of doing business with them. Certified Organic, Great Taste, and Presentation.